With the month of March comes St. Patricks Day. Do you celebrate this day? Maybe make some corned beef for dinner? Irish stew? The only thing I have ever done for this holiday is to wrap up some coins in parchment paper and bake them in a cake. My kids love it. I’m not actually sure what it has to do with St. Patricks Day, but the cake is green, so there’s that. St. Patrick’s Day is a cultural and religious celebration held on 17 March, the traditional death date of Saint Patrick (c. AD 385–461), the foremost patron saint of Ireland. St Patrick is said to have used the shamrock, a three-leaved plant, to explain the Holy Trinity to the pagan Irish. St. Patrick’s revelers thought wearing green made one invisible to leprechauns, fairy creatures who would pinch anyone they could see (anyone not wearing green). People began pinching those who didn’t wear green as a reminder that leprechauns would sneak up and pinch green-abstainers. Luck of the Irish is generally a phrase that you may hear on St. Patrick’s Day; however, this term originally meant bad luck. The Irish have not had a particularly lucky history. “Luck of the Irish” refers to their long history conquest and famines. I learned this when I was researching some Irish coins I was using in jewelry designs. 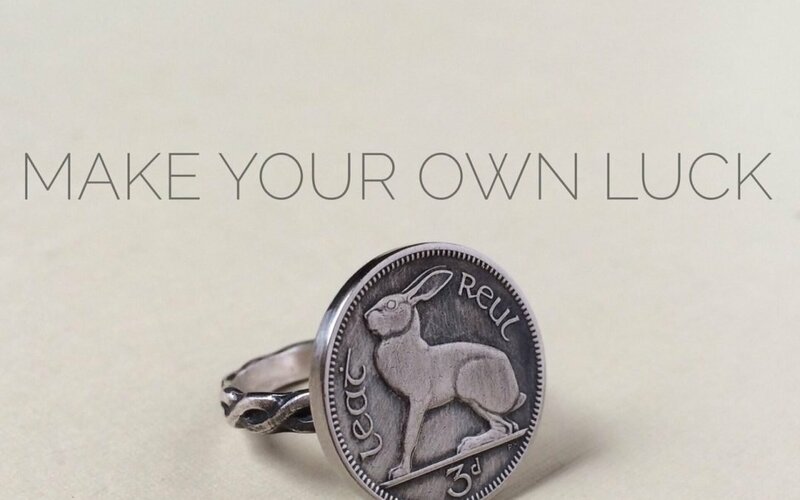 I had planned on naming a ring “Luck of the Irish” because it was an adorable Irish coin with a rabbit on it. When I realized that it’s referencing a history of misfortune, I decided against it. Instead, I called it simply, Rabbit Ring because who doesn’t love alliteration? The quote that comes with the ring is this: “Make your own luck”. Have you heard that saying about luck being where hard work and opportunity meet? I THINK THIS IS DEFINITELY TRUE. BUT THERE’S MORE TO LUCK THAN THAT. A lucky person is not someone who has everything they want. The lucky people are those who appreciate everything they have. but someone who turns them into lessons. It is true then, that we make our own luck. 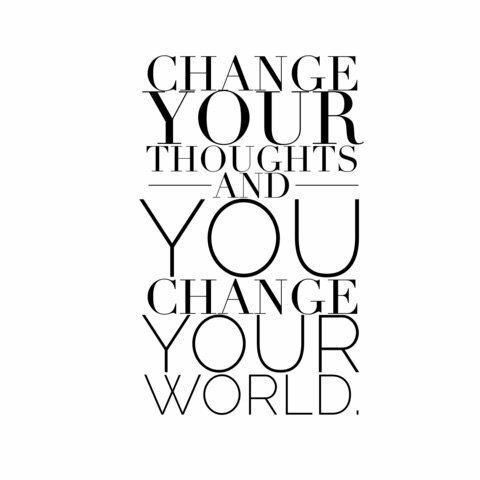 WE MAKE OUR OWN LUCK WHEN WE CHANGE THE WAY WE LOOK AT OUR WORLD. WE GET TO DECIDE WHAT KIND OF FRAME TO PUT AROUND OUR EXPERIENCES. I believe with my whole heart that all things work together for our good.